I am currently reading the Song of Ice and Fire series (Game of Thrones) by George R.R. Martin and decided to do a bit of an experiment. You see, people have been recommending that I read the books, or at the very least watch the show on HBO for a while now. I normally like sci-fi and I find that I have to be in a certain mood for a Fantasy novel of any length, let alone an epic series where each book is 800+ pages. (I’ve never been one to balk at length, it’s just that it’s a commitment that is sometimes difficult to make before you know if you’ll even like it or not.) Anyway, I started the novels, then had a thought. I’ve read enough of the first book to get a handle on the plot, so I’ll watch the first episode of the HBO show and see how I like it. See if it’s true to the book (always a huge deal for me) and maybe it will help me solidify the characters in my mind. If I can put a face to a name, then I can tell Arya apart from Sansa more easily. Or so I thought. Well, it turned out that I had read just enough so that the show didn’t have any spoilers for me. I read another hundred pages or so and watched episode two. Rinse, repeat. Great. But now, for the rest of the book, Jim Hawkins will look like a young Christian Bale to my son. 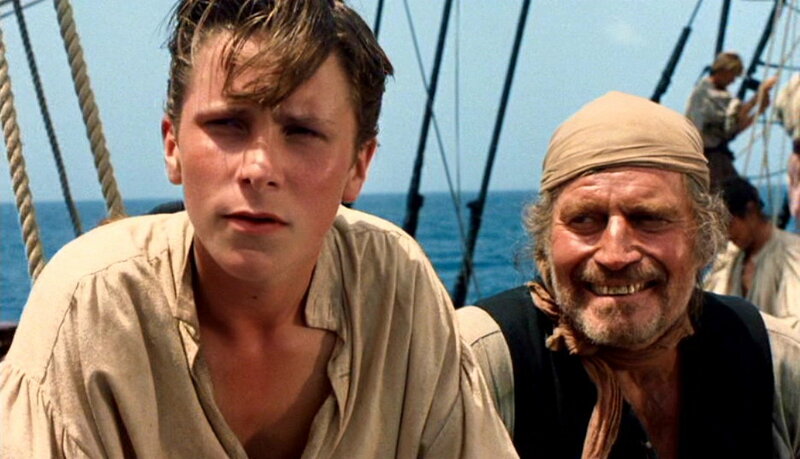 And Long John Silver can’t look like anything other than a crusty Charlton Heston. We are letting our imagination wither and die like an atrophied muscle. All right, I’m not a spokesperson for Stihl, but they come close to my point. 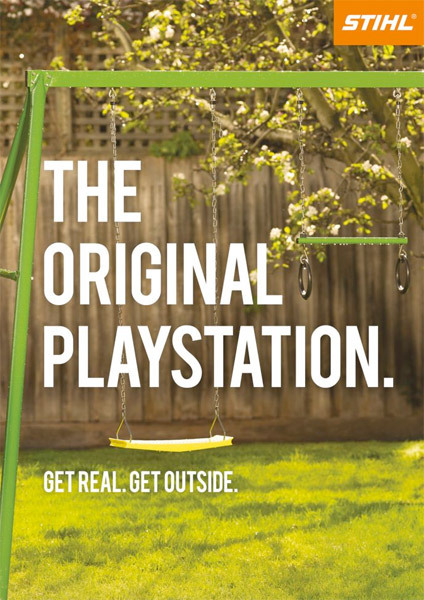 We need to get our kids (and ourselves) outside more often. We need to sit under a tree and dream. We need to create. No matter what you think your talent is or isn’t, you can create something. If you’re good with your hands, make something. If you’re “too out of shape/ too fat/too clumsy/ etc.” that’s not stopping you from writing an amazing story or composing a beautiful song, making a stunning piece of jewelry or woodwork. The author of the books I’m reading now doesn’t have what most people would call an athletic build (see below), but he has created an amazingly detailed epic book series. No excuses. Go from a consumer of culture to a creator of it. 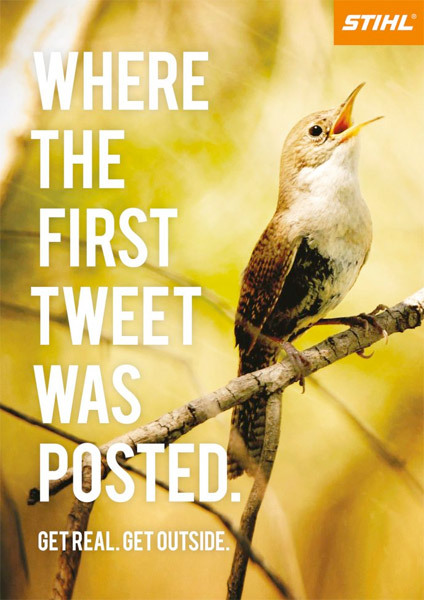 Turn off your smartphone, turn off the music, stop doing things just because they will make a #clevertwitterhashtag or Facebook post later that will def impress your “friends” or “followers.” Live Life. Rediscover your passion and be amazing at it. I recently found out just how true this was a few weeks ago when I was listening to an audiobook. I have been steadily listening to this series ( In Death by J.D. Robb) over the last year, but at first, I didn’t listen to them in order. So I heard the newest five, some in the middle, and then decided to start at the beginning. Now I am working my way up chronologically, but I have knowledge about the later series such as character motivations, who plays a significant role, etc. I had originally requested the second book in the series from my library and mistakenly hit the button for the Abridged version. I then ripped it to my personal library so I could listen to it on my iPod while I worked. But then, I discovered my error and requested the longer Unabridged version and copied it also. When I went to listen to it at work, I listened to the first disc of the Abridged version first. Then, realizing that I must have left the old track on the iPod, I just started over again and heard the Unabridged version. Having listened to the two albums back to back, the differences were clear…and disturbing. Yes, some of what they cut out was descriptive fluff. When the protagonist drove across town in NYC, it was taken care of in the Abridged version with a sentence, where the original version had a nice paragraph or two of prose. But there were at least two other scenes that were cut in the Abridged version that have a HUGE impact throughout the rest of the series. I couldn’t believe it when I heard what had been missing. The first scene was when the protagonist’s husband makes a huge personal sacrifice and decides to sell all of his semi-legal and illegal business ventures. Since she is a cop and has a rigid sense of justice, he knew she wouldn’t approve, and it may tarnish her public reputation later if it came out that he still dealt in underhanded business. This choice is referred back to numerous times later in the series. Was it even mentioned in the Abridged version? No. The second scene that they cut out is when the main character meets someone else, who pops up from time to time throughout the series. He is totally cut from the Abridged version. True, he isn’t a main character, or even a secondary character, but he is definitely a character, if you know what I mean. He is a bouncer at a bar that is the backdrop to many meetings later in the series. And if you listened/ read the Abridged version, you totally missed out on their first meeting. So to sum up, Abridged books = terrible crap. NEVER read them. This is a short list of ways to make a little extra money for you and your family. 1) Become a scrap peddler. Now, this isn’t as bad as it sounds. All I mean is, look around your house, basement, and garage for any scrap metal that might be lying around. Then find a metal recycling place that accepts individual drop offs and take it down there. You give them rusty metal, they give you cash. I did this a few weeks ago and made $60. Of course, most of that was from the furnace that I ripped out two years ago and has been sitting in my garage ever since. The price for scrap metal at the time was $128/ ton. So I figure that I had around 900 pounds of steel and cast iron to get rid of. I took me two trips in my little Subaru, but I did it. If you’re really serious about being a scrapper, get a pick up truck and troll the neighborhoods on trash night. Get a friend to help you lift all those washing machines and bed frames into the back and share in the profits. 2) Sell stuff on Ebay/ Craigslist. Look around your house for anything that you haven’t used in a few years but might be of use to someone else. I found my old GPS in my office. I hadn’t used it in years, and actually preferred my map and compass, even when I was hiking a lot. So I put it on Ebay and made $80. Easy as pie. 3) Sell books/ video games to local used bookstores/ video game shops. Take stock of your shelves and see what you can bear to part with. There are some PS2 games that I really enjoyed, but might not ever play again. Ex: Prince of Persia. A great game with lots of involved environmental puzzle solving. But I don’t think I will spend another few weekends working through the same traps and pitfalls that were so frustrating the first time. On the other hand, if a game is easy to pick up and play again, like SSX Tricky (snowboarding), that may be one I keep. 4) Mow lawns, rake leaves. I know, you’re not twelve anymore, but this still remains a viable option if you really need the cash. I just read a very eloquent and thoughtful letter from a librarian to a patron asking that the children’s book “Uncle Bobby’s Wedding,” by Sarah S. Brannen be banned. I feel strongly about reading, freedom of speech, and even gay marriage, so this was a good read for me. The librarian, Jamie Larue, basically states that he will not pull the book from the shelves because of free speech (but the letter is so much more than that). He also makes an important point that if parents feel that a certain issue is wrong, or sensitive to the values they are trying to instill in their children, don’t read that book to them. It’s as simple as that. This is like parents that get upset when their children start swearing or getting violent from just having played 17 hours of any Grand Theft Auto video game. How can they be upset when they bought it for them, silently endorsing the game by their purchase of it. So while I may not agree with gay marriage for religious reasons, I certainly agree with the library’s decision to stock this book. Comments? 2008 reading list, with reviews! I wasn’t sure how Card could do better than Ender’s Game so I had lower expectations for this book. Well, it exceeded them. I was drawn into the story and the world he created was very unique. I liked it. A very quick read. I finished it in two days. I found myself thinking about how the executive team would respond to Jude’s presentation even when I was home. Something not most business books do. Pat Lencioni has always had good insights and this book is no different. I can’t wait to implement his ideas. 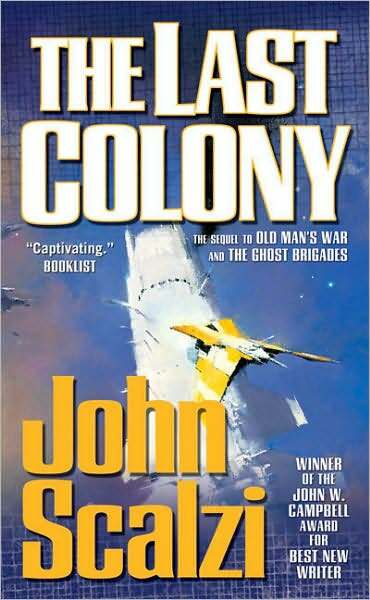 This was my first Scalzi book and I loved it. I have since read nearly everything of his I can get my hands on. The premise for the book is supremely interesting and he had a fresh take on the whole universe and aliens thing that I haven’t seen. 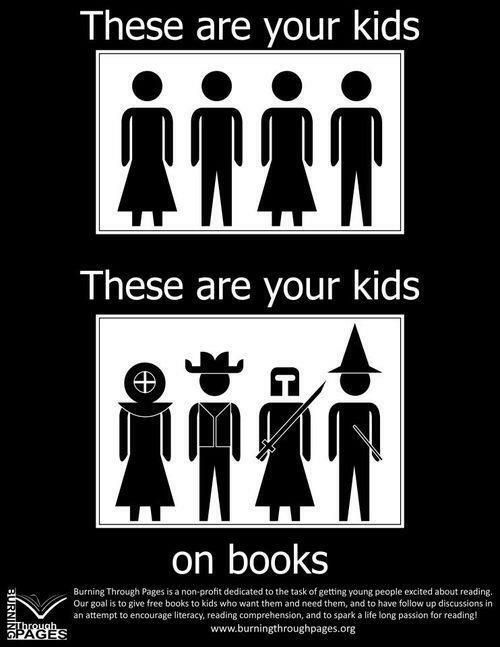 And I read a lot of sci-fi. His ideas were very cool and made me mad that I didn’t think of them first. I loved this book and am very happy that I will soon have an autographed copy courtesy of the Man himself. http://whatever.scalzi.com/ He’s a great guy with cool ideas. Buy his books. Great sequel, but it would be a good stand alone as well. Makes me want to be part of that future world with all the fun new technology that Scalzi describes in detail but is simple to grasp. Very cool. In the words of Scott Evil from Austin Powers, ” I wish I was never artificially created in a lab!” Presents interesting ethical questions; even more so than the last one. I had read the original trilogy years ago and saw this in a used book store so I picked it up. I liked the story but it wasn’t as good as the originals. Another great addition to the Old Man’s War universe. I enjoy stories about colonists and this one didn’t let me down. It had a great plot that really moved in unexpected directions. 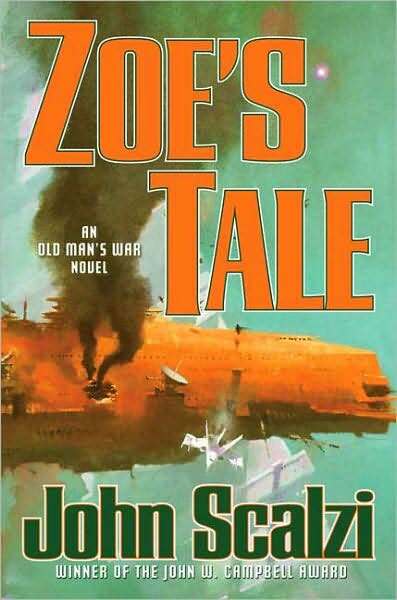 This was Scalzi’s first novel. 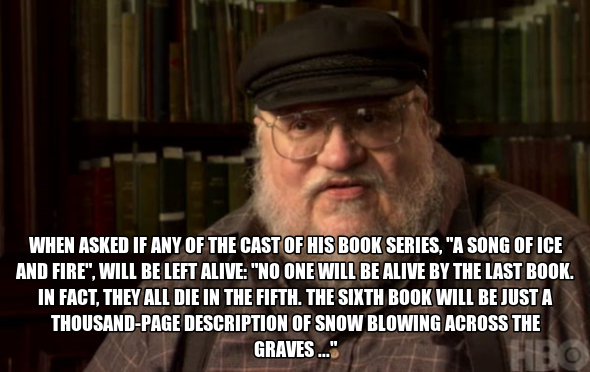 Or as he says, his practice novel. The story centers around an agent in Hollywood and his difficulty when a special client contacts him. Very funny. I was very excited to read the next best thing by Mr. Banks. The thing is, I was not horribly impressed. I love the author though, (I even named my son after him) but this book just didn’t grab like the others did. 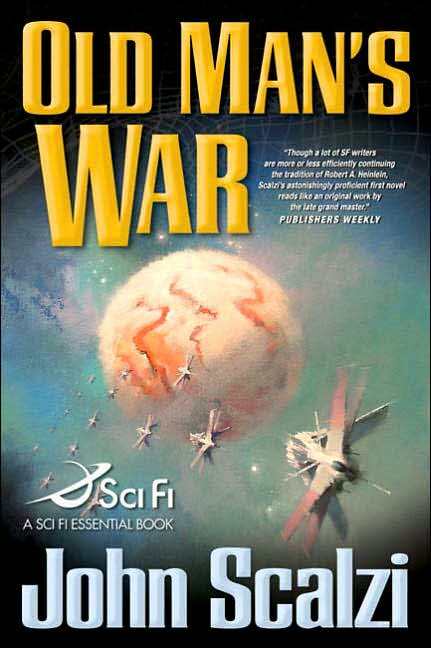 I wasn’t sure about reading a book by Scalzi that wasn’t set in the Old Man’s War universe but it blew me away. The humor alone was worth it. You know when you start a book by assassinating a major political figure by farting them to death, that it’s going to be great. This was an interesting one for sure. The way Alastair writes, you really get a sense of time and the inner working of all the relationships aboard a crew of 160. I thought it was pretty good. Easy to get into. The story was just close enough to home for the reader to identify with people right away unlike some other sci-fi that is so far out there, it takes a while to become engaged in the characters struggles. An interesting short story and a good summation of a life that has been lived to the fullest. 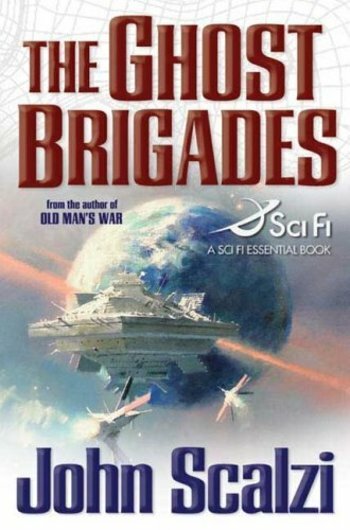 Not quite typical Scalzi writing but it was still good. I liked how he fit aspects of past stories in with Jane’s memories. Very hard to pull away from. 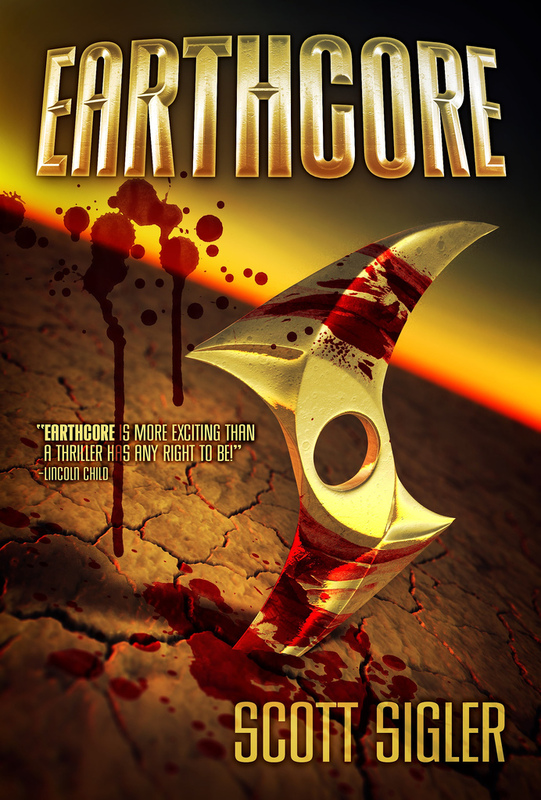 It has a lightning quick pace that doesn’t let up throughout the whole novel. Very bloody; but also very good. I think this one was the best I’ve read so far. A stupendously complex plot weaves in and out of a world Reynolds has crafted with care from the ground up. Or should I say from the Mulch to the Canopy. I loved how it tied in with the rest of his Revelation Space universe and while some of the other books may be more dense in hard sci-fi gear, Chasm City more than makes up for it in character history. Awesome read. This was a cool story about an “alternate” universe that is set in the early 1940’s Paris, and…outer space. Pretty cool idea. I thought this was a very good tie-in to the Revalation Space universe. It tied in on so many levels, from the Tokamak in Pushing Ice to the Eighty. Seeing the Glitter Band in all it’s glory was good too. 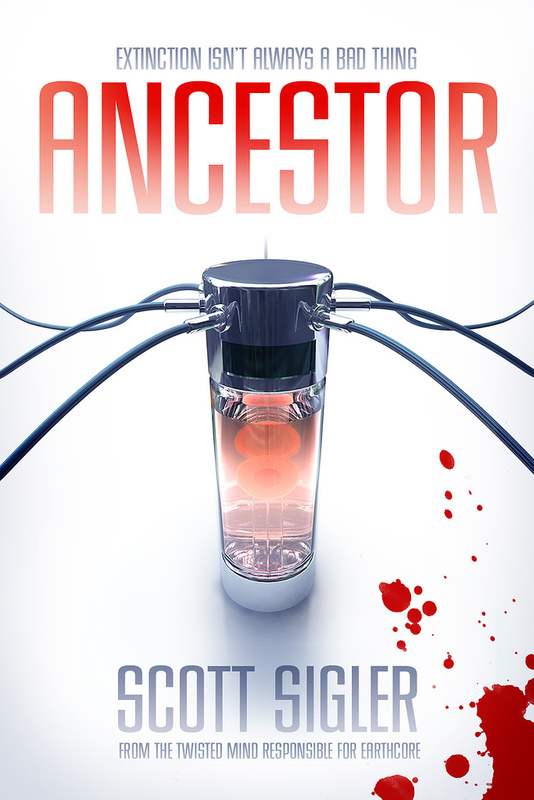 The plot moved along well and kept me interested throughout the book. Not a good book for your first Reynolds read because there is so much from past books that it really takes some previous history to appreciate all the intricate stories. this is a great read for anyone working in social work, or going to a church for that matter! I feel like it re-ignited my mercy a little bit which takes some doing. Very thought provoking. A scary take on the near future in which the world is rocked by terrorist attacks in Scotland and England. The various espionage agencies scramble to try and understand just what happened as a family is caught in the crossfire. 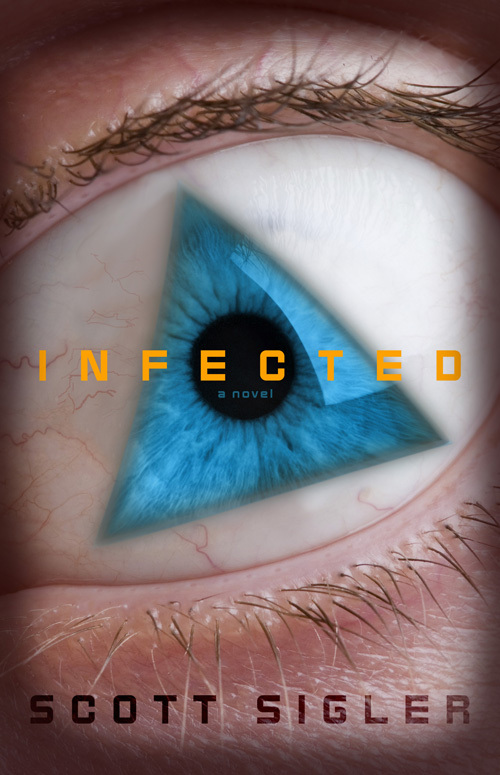 Fast paced and gripping, packed with techno mis-information and ulterior motives. One of Ken’s better novels. “Tomorrow’s Table” Organic farming, genetics, and the future of food. By Pamela C. Ronald and Raoul W. Adamchak. They are a husband and wife where she is a geneticist and he is and organic farmer. They try and reconcile the two disciplines and provide a lot of useful information. I found it very informative with simple explanations for problems. If you are interested in this subject, check it out. A fun little graphic novel. This is a great collection of short stories and novellas for anyone who enjoys the Revelation Space universe. Reynolds is just so good at connecting all aspects of his stories together from Pushing Ice to Chasm City. I liked it a lot. This provides practical advice on what you can do to help th environment. It was actually very encouraging because we already do all of the “priority actions” that they recommend. General Siglerissimo does it again! This was my first time listening to this podcast only novel and he did a great job. The pacing and accents were great. It took a little while to get started but once it did, it was hard to put down. I usually read just before bed but this got me too fired up and I had to tear myself away so I could sleep. This starts out as a cool little cyberpunk story but changes to a totally different medium of huge space opera later. I didn’t like the changes and the tedious explanations of sentient financial instruments and obtuse business plans. Stross’s ideas about the singularity and posthumans are cool but I think he takes it too far. 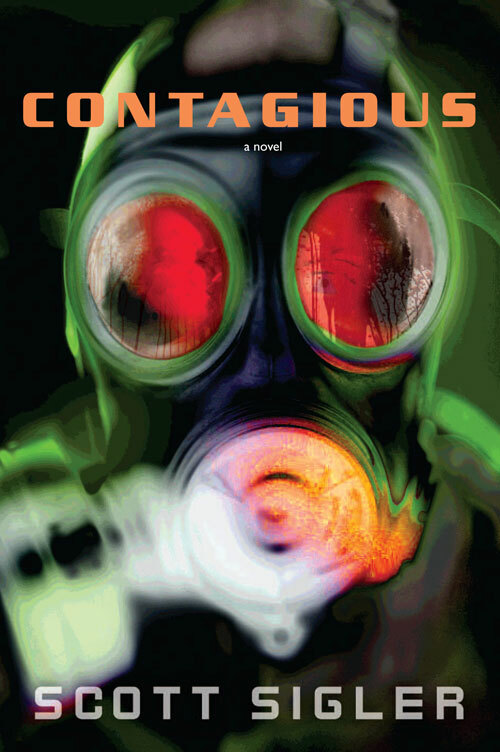 I’m can’t say exactly why I didn’t like this one so much but it may be my first and last Stross book. Another great podcast novel from General Siglerisimo. I found this story easier to get into than Earthcore and the pace just never let up. His characters are great and he really makes you feel as if you are right there. I loved it and am starting his next story tonight! 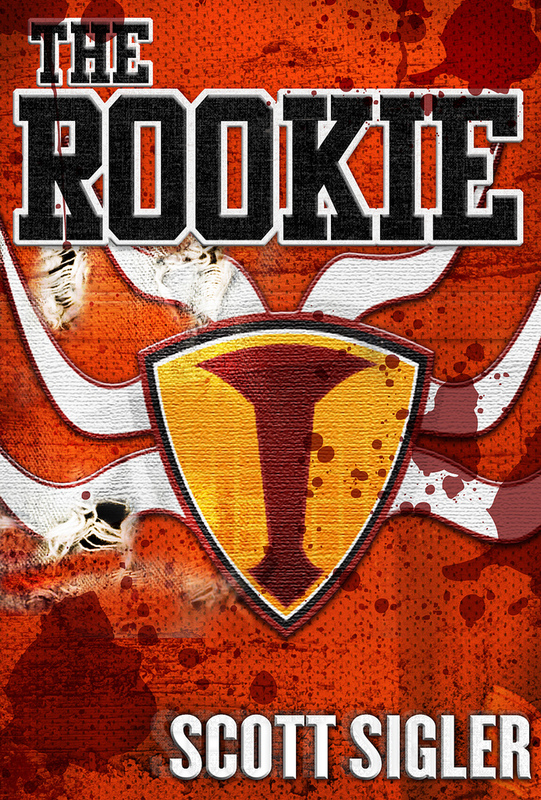 “The Rookie” by Scott Sigler is awesome. It’s about football 700 years in the future. I wasn’t sure if I would like it because I was never really interested in football, but surprisingly, I did. A Lot. For people who like football but have never tried sci-fi, or sci-fi readers who were never jocks; it provides hour of entertainment. A great story combined with the ongoing excitement of professional sports really moves the story along. This is one of my favorite Sigler stories, partly because there is essentially no slow beginning. Some of his novels take a little while to get into, but this one just throws you right into the action. The only downside is that there is a lot of swearing. 2007 reading list, with reviews! “The Diamond Age’ by Neal Stephenson. Cool book. Set a few hundred years in the future, this goes in depth into different ways people set up new ways to cope with civilization. Some people thought that since our current model didn’t work, they needed to look farther back and copied the Victorians. So these Neo-Victorians are a big influential clan in the Hong Kong area. But mostly the book is about a guttersnipe who happens upon this wonderful book and what happens when she is raised by it. Basically, a wealthy Lord commissioned this book from a skilled nanotechnologist who programed it to raise young neo-victorian girls with a certain counter-cultural bent. The old Lord wanted to corrupt his granddaughter just a little bit. You know, tell her fairy tales where people actually die. And how to sword fight and so on. So she won’t just be a normal girl but a self-empowered young woman who knows about the way the world works more than naive compatriots. Very cool book. Also, this one challenged my vocabulary. The author used alot of words I didn’t know. Words like vituperative and insouciantly. Fungible and demesne. “The Volunteer Revolution” by Bill Hybels. I had to read this one for work but it’s a great tool for churches or organizations who want to get the most out of their volunteers. It is Christian centered but would apply to any situation. 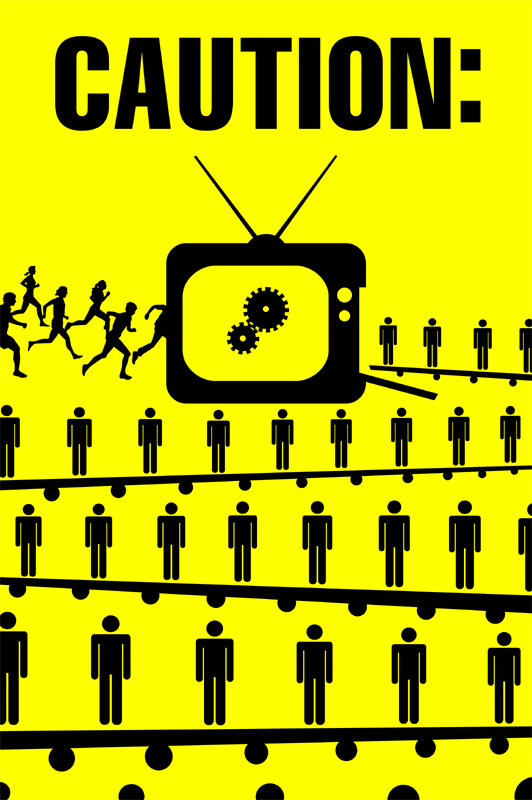 How to interest, motivate, and keep effective volunteers. A very comprehensive guide to buying a house. This book is also a great asset when buying a house. I made a really big list of stuff to ask my real estate agent that helped out a lot. Another great Richard K. Morgan book! It’s got all the hip, dark atmosphere, gritty realism, and high body count of his former books but is very different as well. An interesting view of the near future for the USA. It got into politics a little bit but not as much as a Ken MacLeod book does. Carl Marsalis is a cool departure from Takeshi. I liked the martial art developed for low gravity situations. Slow start, slow middle, good ending. I thought he really captured people reactions to the end of civilization well. Scary idea. Makes me want to stock up. Glad I’m in-land and live on a hill near water. I was happy to find a book that was hard to put down. The whole idea of the plot and putting 6 year olds through Military Academy was really interesting and captivated me. On to the second one in the series!